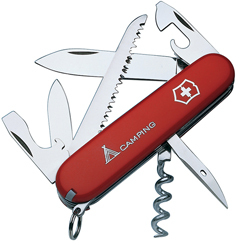 With VICTORINOX you can expect Swiss Quality in a wide range of Army Knife products. Whether you’re exploring the city, the wilderness or embracing simple pleasures like camping or fishing. At My Tool Shed we stock a wide range of Swiss Army knives, a handy multi-tool for almost any task. Suited to those who love the Great Outdoors; Hikers, Climbers, Explorers, Officers, Hunters and more, or those who are looking for solutions to everyday problems. These Medium Pocket Knives are built to last and hold a range of different kit to match the users’ needs. In addition, every pocket knife has a Lifetime Warranty, be confident in VICTORINOX and shop today at My Tool Shed.